Los Angeles Based Blacklist Union front man Tony West is known for his compelling and outspoken lyrics, so we expected nothing less than the brutal truth from the veteran outlaw rocker. From writing and composition to pre-show rituals and his weigh in on the/ Deadpool/Batman debate, find out below where the charismatic lead singer stands. What is your favorite past time when not making music? How do you go about putting “Evil Eye” together, from songwriting to composition to production? How did the music video visualize the song for you? The songwriting process is always the same. We come up with the riff and arrangement, and then I come up with a melody and add the lyrics. It’s like cooking, but I’m only cooking a song. I had the idea of what I wanted the video to look like and MATT ZANE (who directed the video) brought it to life. Festivals all the way because there are way more people and much bigger ground to cover. I have worn a dress a couple times on stage and then thrown it into the audience. We also played a midget convention. Does Blacklist Union have any specific pre-show rituals and, if so, what are they? I like quiet time before a gig so I can save my energy. Do you have any upcoming show dates to share? We have many shows. 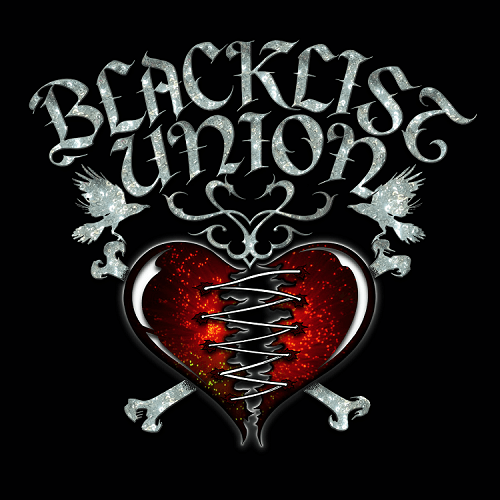 Go to blacklistUnion.com for all the up-to-date information on tours, shows, and festivals. I don’t know what Deadpool is, and I love Batman. Do you like to discuss is that Robin is a waste of time. Finally, is there anything coming up that you’d like to share with fans? Be on the lookout for our tour dates. We have a new single and video coming out for “Super Jaded “, and if you don’t know who we are check us out. We have the hype AND the delivery.